Swing at the end of the world. 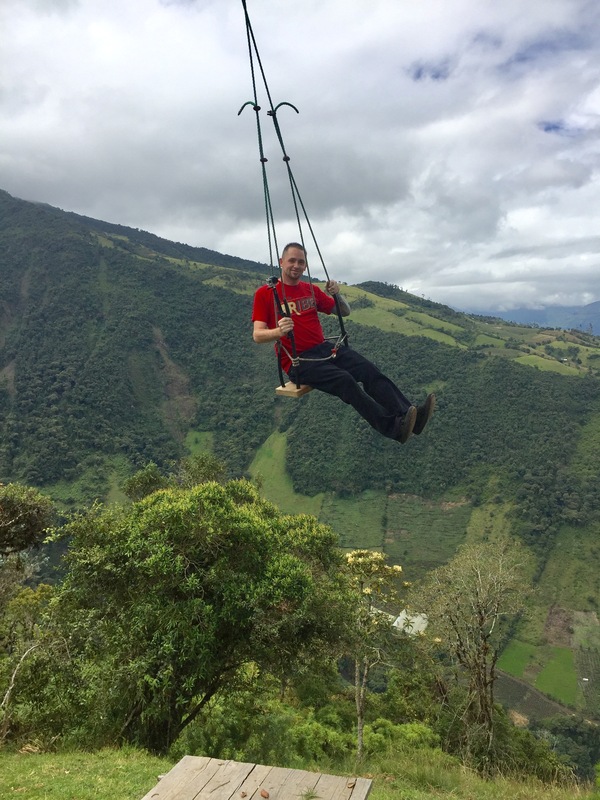 Would you take a ride on a swing that brought you over a thousand feet above the ground? While viewing volcanos?!? We did! 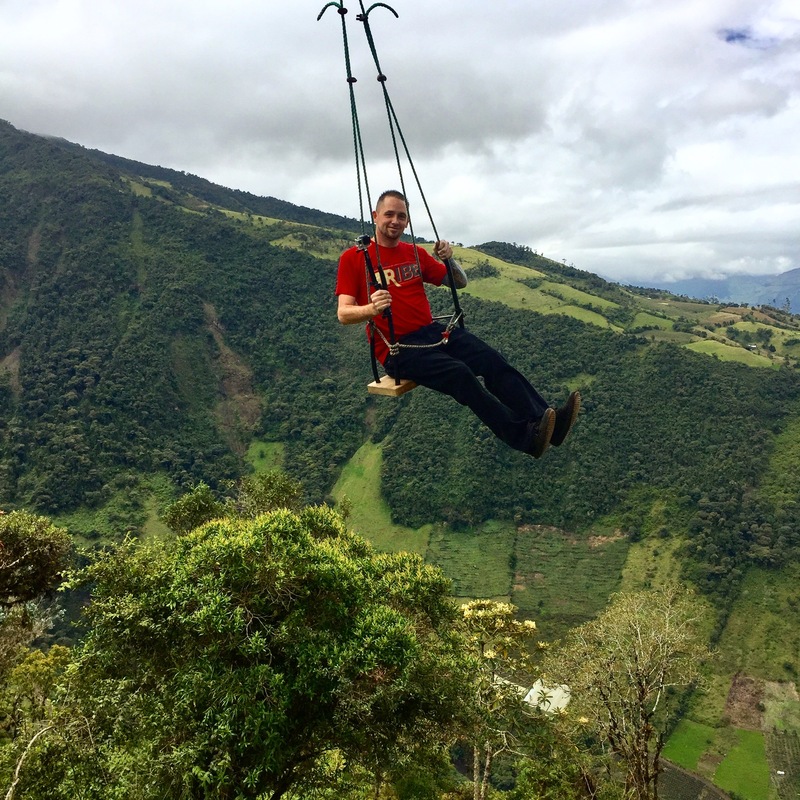 Banos, Ecuador is home to the Swing at the End of the World. 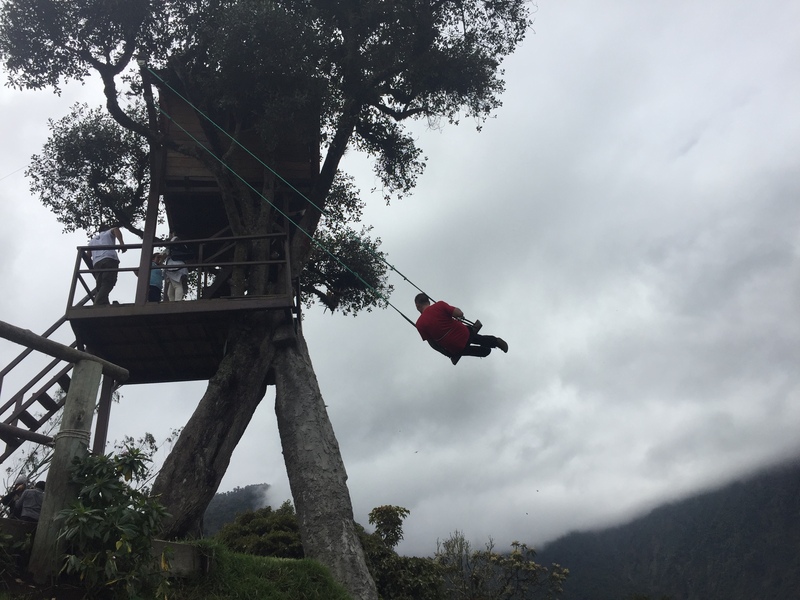 A once in a lifetime opportunity to be thousands of feet above sea level, high in the Ecuadorian mountains. Known by locals as Casa del Arbor (Tree House), this once volcanic watch station has a long swing attached to the branches for any one brave enough to ride. Don’t worry though, there is a small strap to attempt to keep you in!